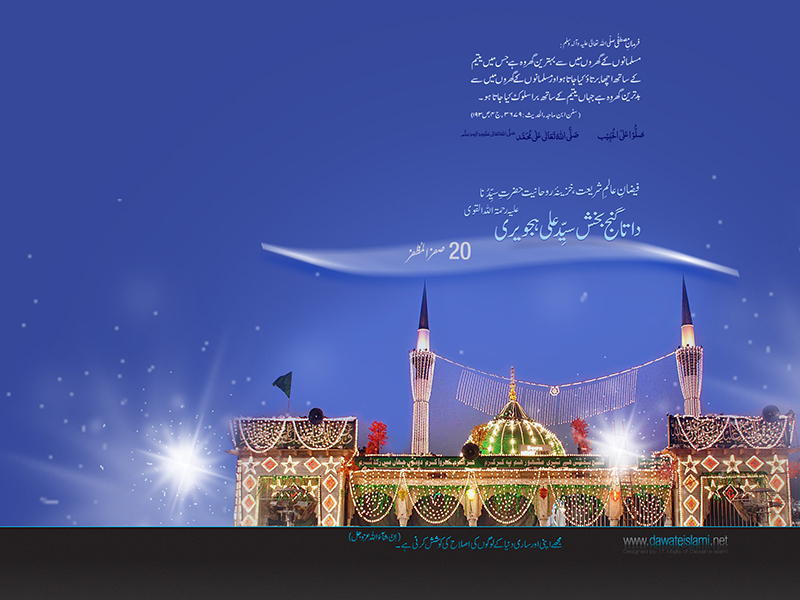 Hazrat Data Gannj-e-Baaksh Ali Haajveri (رَحْمَۃُ اللہِ تَعَالٰی عَلَیْہِ) spent his life educating, advising, and encouraging and motivating and originating the statement of truth. Thousands of benighted people transformed into Islamic scholars, masses of people welcomed Islam, the uncertain began to follow the straight Path, the preposterous found sense and soberness, the unlawful became lawful and the wrongdoers became righteous under his powers. world of Sufism and it is scripted in Persian jargon. This specific publication symbolizes Sufi ideology such as Maarifaat, Tareeqat and Waylayaat in such an idea that they mirror the requirements of comprehensive age. For instance, this very script was beneficial 900 years back and is beneficial at the present-day and will be beneficial for as long as Almighty Allah (عَزَّوَجَلَّ) desires it to be. If you do not have a (Mursheed) you should interpret this book and by the sanctification of reading it you will discover your (Mursheed).This book is like a spotless (Mursheed) in Persian jargon dazzling like an uprising light in the dark path with no other race. This script is one of the finest and genuine scripts of Sufism. This very book on the subject of Sufism attracts all the dominant Sufi Saints of India to obtain real counseling and it is treated as “Toraath and Bibble” of Sufism. Hazrat Syed Ali Hujwairi (رَحْمَۃُ اللہِ تَعَالٰی عَلَیْہِ) also recognized as Data Gannj Baaksh (رَحْمَۃُ اللہِ تَعَالٰی عَلَیْہِ) influence powerful physical place in the Ahle Tareeqat holy persons and is an eminent Sufi scholar. Unlimited personalities acknowledge him as a wise Sufi scholar and his script Kaash-al Maajub is one of the best credible books of Sufism. This script does not only have the descriptions and saying of the Sufi scholars but also has deep-seated organs of genuine Sufi substantial. This particular book (Kaash al-Mahjoob) portrays the entire “Mursheed” guidance. The Islamic Scholars and spiritual saints have altogether advised the value of this specific book greatly. secret hurdles within characters. This particular book consists of life histories of many Islamic ideals and the style in which it is scripted welcomes the cool breeze of guidance for those who eye this specific book. This script is very comprehensive as it aids the learners of Sufism in each and every age. Oh learners of Sufism, May Almighty Allah (عَزَّوَجَلَّ) grant you with the compensation of both the worlds, and he further states: By scripting this book my ambition was to fulfill all the needs of the reader and to insure that he may not obtain any other book and that this particular book will be more than enough for the learners of Sufism. Reasons to create man-kind ? What is his Objective on the Globe? What is his Connection with his Originator? What is his Final Goal? These queries agitated him and drove him towards loneliness and self-examination. He despised inhumanity and could never cause true misery to man-kind or even to an animal-kingdom. He proclaimed a very straightforward life of tolerant. His meal consumption was plain and cautious, so was his getup which was generally ingrained yellow, the shade of the getup of usually monks, Sufis, and hermit, tailored with ebony filaments. Until today, his remains are safeguarded at “Bhitshah” (where his tomb stands), along with so of his monuments such as a marching cane, a pair of eating receptacle, one originated of Sandal-wood and the other of luminous rock, which he utilized for consuming and drinking. His tall beret and his ebony headdress are firmly safeguarded. In expedition of spiritual candor, Shah Abdul Latif Bhattai (رَحْمَۃُ اللہِ تَعَالٰی عَلَیْہِ) well-traveled to various sectors of Sindh and also visited to the adjoining grounds as far as Lasbella, Multan, Jaiesalmeer and Bhuuj. He was well acknowledged among the well-known Sultans and Shahs at crest of might and laws of “Kaalhooras” in the province of Sindh. Nevertheless he well-travelled concerned only towards Islam in the clique of monks, hermits and frequently solo stepping in towns and cities, to comprehend the genuine directives of Islam enclosed in nature. During his journey he traveled towards the highlands, canyons, coastlands, plains and elevations where he encountered the traditional elementary inhabitations. He simultaneously journeyed towards the “Barren Hills” in the south city area of Hyderabad, Sindh. The verses of his poem include the experience of “Sindhi Sailors” and their sailing expedition to Srilanka and Java. For approximately three years durations, he journeyed with monks and hermits, in pursuit of the faith, harmony, and reconciliation in the highlands of “Lasbella”. At various parts in the “Risaloh” it is remarked that he has been travelling with these hermits to these great, sacred and serene places. He also journeyed to very distant locations in the “Thaar” Desert such as “Junnagaadh” and “Jaisaalmer”. All though Sindhi authors have not considered toward poetry for children yet still many authors and organizations have been generating positive things for the youth. The most wonderful voice of “Sufism” in Sindh belongs to the “Risaloh” of Shah Abdul Latif Bhattai (رَحْمَۃُ اللہِ تَعَالٰی عَلَیْہِ). This evident collection of magical poetry transmits the vast custom of “Sufism” in a vivid and rich territorial language. A famous Muslim scholar, educator and an original writer of poetry, Merza Caliche Beige has performed a tremendous benefit to Sindhi research by compiling data relatively of the initial life of Shah Bhattai, from the discussions that he had regularly secured with numerous old kin still existing, who acknowledged these details from their parents and ancestors for they had viewed Shah Abdul Latif Bhattai (رَحْمَۃُ اللہِ تَعَالٰی عَلَیْہِ) personally and had even voiced with him. His forefathers had come from (Herat) which is still the 2nd biggest city of Afghanistan to Sindh, after it was removed by “Timur” and his Mongol combatants. Shah Abdul Latif Bhattai (رَحْمَۃُ اللہِ تَعَالٰی عَلَیْہِ) was the grandson of Abdul Karim Bullree (رَحْمَۃُ اللہِ تَعَالٰی عَلَیْہِ) who was a supernatural wordsmith of great honor, his poetry in Sindhi is living and his honoring is still guarded at Bullree in the formation of an Urs. Syed Habib Shah (رَحْمَۃُ اللہِ تَعَالٰی عَلَیْہِ) was his father who lived in “Hallah-Haveli” a small town 40 miles from “Mattiarri” and next to the village of “Bhitshah”. Afterwards he left the venue and migrated to “Kottri” where Shah Abdul Latif Bhattai (رَحْمَۃُ اللہِ تَعَالٰی عَلَیْہِ) spent some part of his immature life. Shah Abdul Latif Bhattai (رَحْمَۃُ اللہِ تَعَالٰی عَلَیْہِ) obtained his greater scholarship in the Maaktab of Akhund Noor Muhammad in fundamental Persian and Sindhi. He is also recognized to have recollected great verses of the holy Qur’an. His communication in Persian with present-day scholar “Makhdoum Moin-uddin Thattavi” as included in the Risaalah-e-Owaisi which brings onlookers to his scholarly ability. In his poetry he addresses Sindh and its adjoining territory; he drafts the remote cities such as Samarqand and “Constantinople” which is now called “Istanbul” he also unfolded about (Saamuundi) Sindhi sailors and their shipping methods journeys as deep as the “Malaabar” shores “Ceylon” which is now called Srilanka and the island of Java. His poetry was early interpreted into German language in 1866 approximately 100 years after his demise by a German Islamic scholar and preacher who was captivated by Sindhi language and culture in around 1860’s. With the support of Sindhi philosophers he gathered a collection of the earliest verses and named it “Shah Jo Risaloh”. 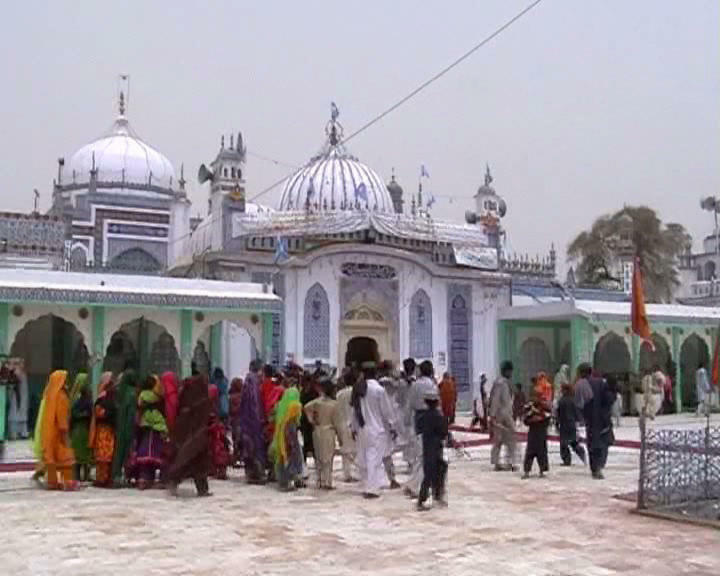 The Urs of Shah Abdul Latif Bhattai (رَحْمَۃُ اللہِ تَعَالٰی عَلَیْہِ) is a great ceremony in Sindh, where nations from virtually every small town, districts and cities of Sindh and from various districts and cities of other regions of Pakistan. The Urs begins from 14th Safar every Islamic calendar and continues for three days in which prosperous, needy, immature, elderly, intellectual and farmers make a decisive attempt to show up. His followers, hermits and artists assemble around and narrate passages of his poetry. Intellectual contest and demonstration of his efforts and old Sindhi antiques are also publicized and promoted. In the final approximately 8 years of his momentous life, Shah Abdul Latif Bhattai (رَحْمَۃُ اللہِ تَعَالٰی عَلَیْہِ) lived in Bhitshah. A few days earlier his demise he separated to his rock-shaped dwelling and squandered all his precious moments in invocation, fasting and consuming very little. The tomb aloft his grave was constructed by (Mian Ghulam Shah Kalhoro) to celebrate his success over the Rao of Kuchh a Maratha ally in the Desert of “Thaar”.